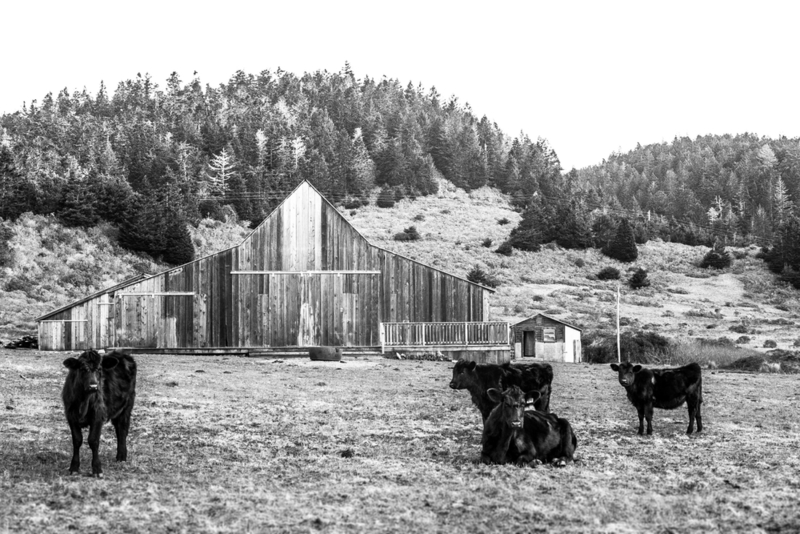 Cuffey's Cove Ranch is a family run property on the Mendocino Coast, offering spectacular views and wonderfully preserved barns and house, perfect for private events and weddings. A historic coastal ranch, situated on over two miles of Californian coastline. Over a thousand acres of pristine meadows and forested land in a protected easement, brimming with natural habitat. The Kenney House is the original house of Cuffey's Cove, the first settlement in the Elk area that predates the Greenwood and Elk communities. The historic house comfortably fits 12 guests, it has six beautiful bedrooms (1 king bed, 4 queens beds, 2 twins beds), three bathrooms (with showers), living room, dinning room (seats 12), kitchen (Wolf gas range, Subzero refrigerator, propane BBQ), library and laundry room with washer and dryer. The original ranch barns have recently been refurbished are now available for events, weddings and workshops. The town of Elk is the Mendocino Coast's hidden jewel. With one of the most photographed vistas along the entire coast. Elk has a broad expanse of beach for walking and picnics. All events require event liability insurance.